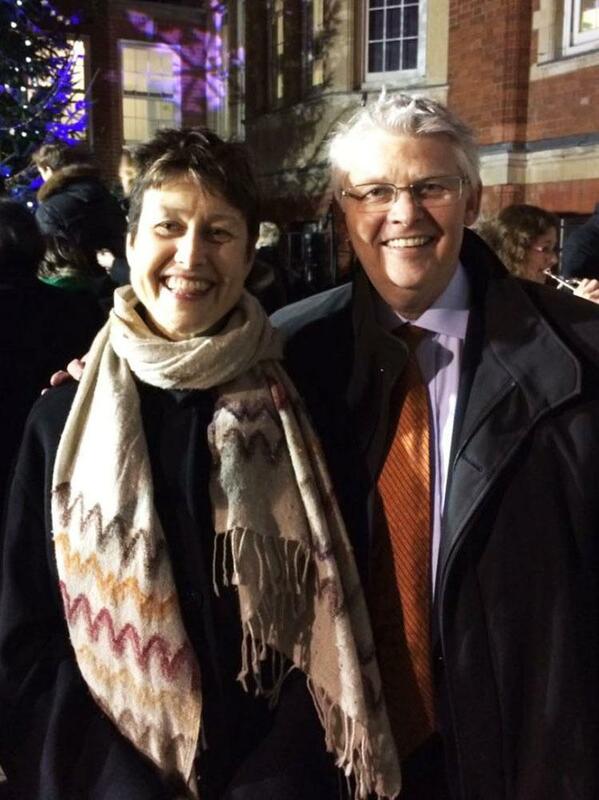 My beloved, bright, brilliant wife Vikki Orvice passed away at 5am, able to defy the cancer no longer. I am bereft, empty, but grateful for her life and her love. Those who feel the breath of sadness, sit down next to me. Tributes from all over the world followed and obituaries were carried by The Sun, whose former chief sportswriter Steve Howard penned a lovely tribute to his friend and colleague, The Guardian, British Athletics Writers' Association and many more. Jacqui Oatley, whom Vikki introduced the FWA's National Committee, wrote movingly for our own website. BBC Radio 4 broadcast a tribute from Anna Kessel, Vikki's co-founder in Women in Football, and there were messages from many other journalists and sports stars, including Sebastian Coe, Jessica Ennis-Hill, Paula Radcliffe, Kelly Holmes and many more. Sports federations and clubs, including her beloved Sheffield United, paid tribute, too. When Ian returned to social media later on Wednesday, he admitted to being "overwhelmed" by the messages on the medium. I've been preoccupied with logistics this morning and just got back to Twitter, Facebook etc. I am overwhelmed, but comforted, by the outpouring of love, respect and admiration for my Vikki, also by email, text and DM. Thank you all so much. The saddest bit today is wanting to show her, to say: "Look, Vikki. This is what you meant to everyone" but she can't see or hear. I think and hope she knew. From me for sure. Anyway, tell someone today what they mean to you while you can. and Ian added thanks, particularly to close friends, Vikki's MacMillan nurse and the Royal Marsden Hospital. Eternal thanks to the brilliant @royalmarsdenNHS and their marvellous oncologists and staff. You gave Vikki and me 12 years that we may not have had with your expertise and care. May you continue to thrive despite a creaking system. I can't respond to everyone on Twitter personally, but the outpouring of love for Vikki, from the great and the humble, friends and strangers, has been immense comfort. Thank you all so much. There are far too many tweets to list here, but you can see most of them by typing Vikki's name into the searchbar in Twitter. Won’t it be wonderful if Sheffield United win promotion to the Premier League in May and dear Vikki is looking down to see it from what cloud lovely people like her go to. She really will be in Heaven then. Thanks for the memories – and the chats.